Martin Luther King made his “I have a dream” speech on August 28th, 1963. It was held that day in honor of the anniversary of Emmett Till’s torture and murder on the same date, in 1955. If you missed it, you can read a sneak preview of my book, in which I write about that tumultuous year of 1968 in my last blog post. The 50th anniversary of national events is usually a good time to reflect on them (as we’ve seen the thousands of articles and blog posts written about the Convention). So my reflection on the “March on Washington” got set aside for a couple days. 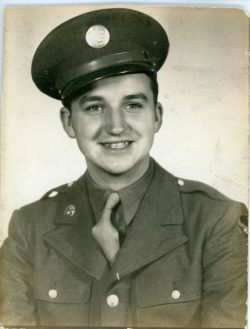 I’m revisiting it today on my regular blog post day of Thursday. I’ve posted this before, but it’s a central message of my book, so I want to use every opportunity to get it out into the world. Whatever their position on Civil Rights, the vast majority of whites throughout the nation had no personal experience of integration. That wasn’t true for my family. Just as the country was going through the throes of the Civil Rights Movement, my family was, for the first time, living with integration. We watched King’s speech on television in our home in Chicago’s West Garfield Park neighborhood, the community where my paternal Grandparents had settled in 1912, raised their children, and where my dad and mother raised my two brothers and me, as well. 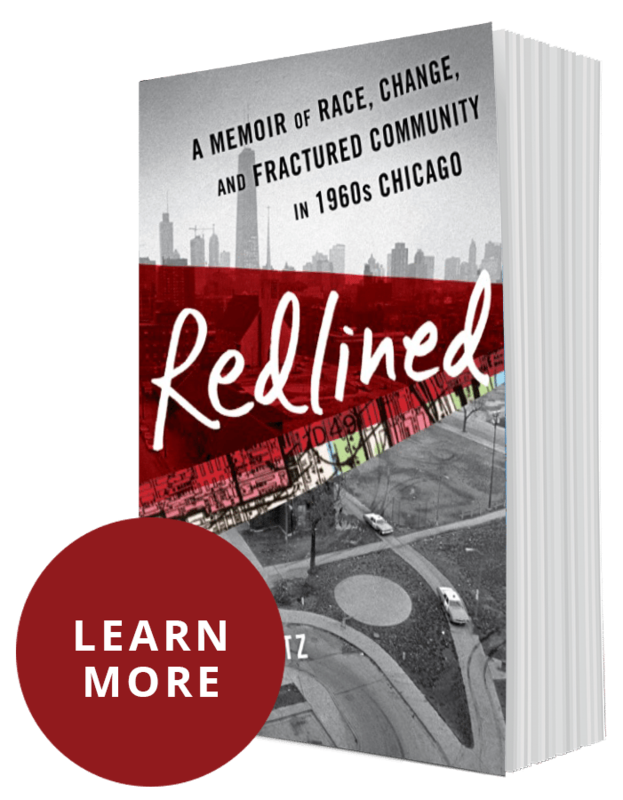 The previous fall of 1962, school boundaries had changed in our community to alleviate over-crowding of public schools in segregated black neighborhoods. The change brought an influx of African American students from south of Madison north into our mostly white community. During that school year, white residents saw scores of African American children walking through the neighborhood. Whites panicked and began moving out in droves. In one year, the population of my former grade school was reversed, from 5% black students in the 1962 Tilton graduation class (my class) to 58% black in June 1963. On June 22 1963, the first black family moved into a house on our street, in the 4200 block of West Washington Blvd. By the time King gave his speech, two months later, four houses had been sold to African Americans. A white diaspora was underway. 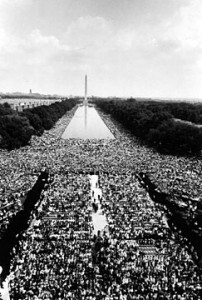 The March on Washington and the Civil Rights movement in general put the injustices suffered by blacks front and center in the American consciousness. But most whites, whether liberal-minded or racist, didn’t personally know any blacks. We didn’t either. 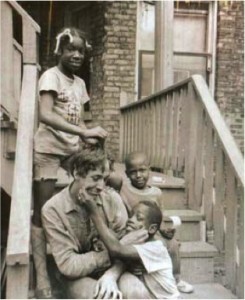 Nine years later, 1972, my younger brother, Billy, with our West Side neighbors. We owned two 2-flats and frankly, we were afraid. As Isabel Wilkerson notes in her book, The Warmth of Other Sun: “It was an article of faith among many people in Chicago and other big cities that the arrival of colored people in an all-white neighborhood automatically lowered property values….The fears were not unfounded, but often not for the reason white residents were led to believe.” Prejudice aside, whites wanted out before they lost their property investment. In two months, four houses on our block were sold to blacks. The integration of our neighborhood wasn’t all brotherhood, sweetness, and light, however, and it would be a lie to pretend all prejudice disappeared, that no conflict emerged, and everyone lived in harmony. Still, what King envisioned in his speech at the March on Washington–the opportunity to forge friendships beyond racial stereotypes–had come to pass as a result of our integrating neighborhood. This post is similar to one originally posted on the 50th anniversary of King’s Dream speech. 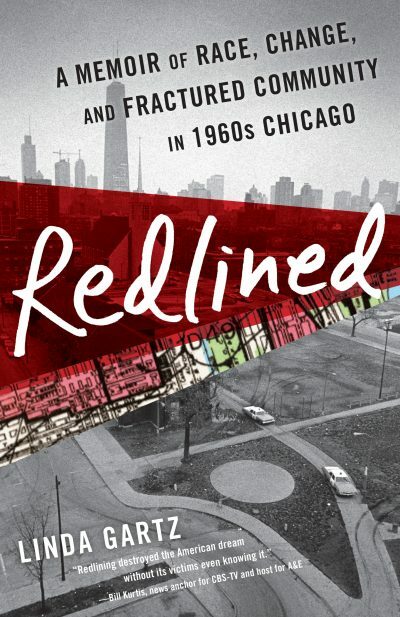 Redlined tells a first-hand story about a West Side Chicago family’s personal struggles and dreams intersecting with the racial upheavals of the 1960s.